Pemberton, S. (2018). 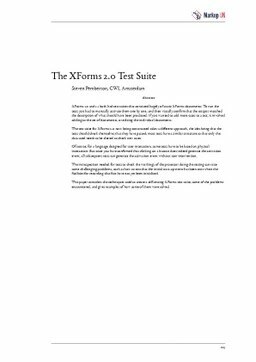 The XForms 2.0 Test Suite. In Proceedings of Markup UK 2018 (pp. 165–175).